The Irish Lifecoach Institute (ILI) specialises in Life and Business Coach Training and Coaching, with the provision of Coaching services to the public and private sectors. It was founded in 2003 by Eoin McCabe and Adrian Mitchell, both of whom have been training coaches since 2001 with consistently excellent feedback from graduates. 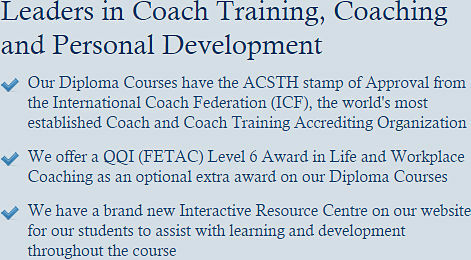 The ILI is a registered QQI provider and their Diploma in Personal & Business Coaching Course is an Accredited (ACSTH) International Coach Federation (ICF) programme thus providing important global recognition for graduates of their Diploma course. They have graduated over 1800 students from their Life and Business Coaching Course over the years. The ILI is one of Ireland's leading training & development organisations within the corporate & consumer market with a specific focus on ‘human resources’, bringing out the best in people & conflict resolution. The ILI team are highly trained and experienced professionals. 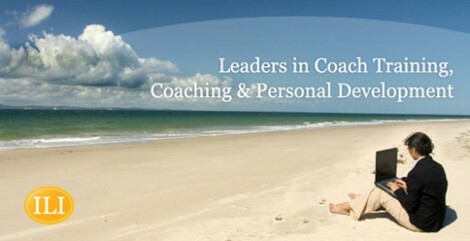 They consistently deliver excellent results in all aspects of their business coaching, training, and development work. They work with key personnel in companies, helping them to change limited thinking, poor responses, and ineffective behaviour. this then results in more productive and effective leadership with all round harmony within the company. Apart from their work in the corporate sector, they are passionate about helping people from all walks of life to improve their careers, relationships and lives in general. They achieve this by both training people in coaching skills and coaching them to achieve their goals in dealing with problematic situations and people. They also work closely with Community groups and develop and deliver Life Coaching skills programmes for them.